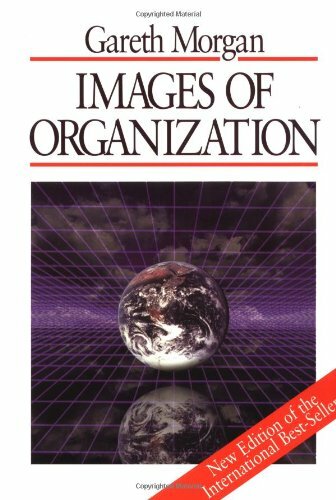 Gareth Morgan's 'Images of Organization' is a fabulous extension of our habitual ways of 'seeing' organisations and significantly develops our 'framing' of many organisational issues. The book has been a 'staple' of the organisational change courses at Ashridge where it features on the certificate, master's and doctoral reading lists. Participants on those courses 'get' Morgan's work quickly and it is exciting to see new insights about how to intervene in organisations suddenly emerge. "Effective managers and professionals in all walks of life have become skilled in the art of 'reading' the situations they are attempting to organise of manage." "They have a capacity to remain open and flexible, suspending immediate judgements whenever possible, until a more comprehensive view of the situation emerges. They are aware that new insights often arise as one approaches situations from "new angles" and that a wide and varied reading can create a wide and varied range of action possibilities." The 'Organisation as Machine' is the first and probably most familiar metaphor and this is the first to fall under Morgan's scrutiny. Tracing the lineage of this thinking back to the mid-18th century, through the classical management theory of proponents such as Fayol and Taylor, and then towards TQM, it is easy to understand how this metaphor has become so deeply imbued in our consciousness. Rigid, mechanistic, high control ways of organising are increasingly under attack (oops, there's another metaphor for you...;-) in our more flexible, GenY, internet enabled workplaces but the idea that we can 'find the right levers', 'drive and roll-out' and 'plan, organise, and control, control, control' change among the people whose relationships constitute our 'organisations' is still compelling. In his final section, Morgan shows how dominant organisational metaphors can both constrain and enable particular ways of acting . Challenging the 'dominant' frame and enabling alternative 'readings' of the organization and it's situation, offering a variety of 'interpretations' through different ways of 'seeing' is the essence of his (and, possibly, our...) work.